For several years now I have had conversations with members of Tim Keller’s Redeemer Presbyterian Church in New York City. The purpose of these conversations was to point out some of the bad theology Tim Keller teaches. The theme of his sermons, books and entire ministry is the gospel of cultural renewal. He often talks and writes about this subject. My position is that the Bible teaches us not to worry so much about cultural renewal as about spiritual renewal by salvation through Christ. My contention in these conversations has been that with the church putting so much emphasis on cultural renewal that it was missing, in fact consciously overlooking, opportunities to bring people to faith in Jesus Christ.I am always rebuffed by Redeemerites when I make that assertion. I’m told that the church does both. And I’m told that both are necessary. But there is no better way to determine where a church really stands than to look at how it spends its charitable dollars. Does it spend its money with evangelical organizations whose primary goal is to share the Good News that Christ came to forgive our sins and save our souls? Or does it spend it with volunteer organizations that in fact forbid any mention of Christ and salvation? A few years ago founding pastor Tim Keller made a statement wherein he declared that our mission as Christians should not be to “win souls” for Christ, but rather to “renew creation”. He in fact derided the idea of “winning souls” by saying the people who were interested in that were only interested in building their own tribe. In the past, evangelical conservative churches would give money to Christian charities that worked in a variety of fields but had as their overriding goal the sharing of the Good News of salvation with those they were there to help. But today more and more churches are spending their charitable dollars with organizations that not only are not Christian, but in fact are hostile to Christianity. And unfortunately, that’s exactly what Redeemer is doing. 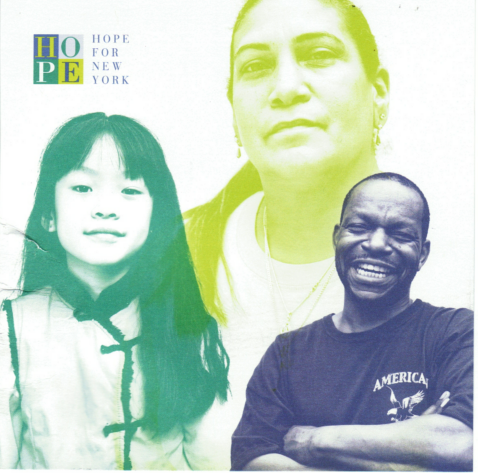 I recently received the postcard below (March, 2013), from Hope for New York (HFNY.org) – which is Redeemer’s charitable arm. Or you might say their “cultural renewal” arm. No one would be criticized for helping the homeless with food or helping students graduate from high school or helping children of immigrants learn English. But this is a church and that’s simply not the Biblical mandate given to the church. The first and foremost Biblical mandate is to preach the Gospel so that souls may be brought to salvation in Christ. And nothing, absolutely nothing in the Redeemer materials suggests that any sort of Gospel preaching or teaching is going on in conjunction with their charitable activities. You can read for yourself in the brochure above, all the activities the organizations Redeemer is giving to will be involved in. And you will not see one mention of sharing the Gospel with people they’re trying to serve. Nothing is mentioned on this page or any other page of their promotional materials (I’ve read them all) about actually caring enough for the poor and marginalized to share with them how they can be saved from an eternity in hell. Please keep in mind as you read this, that I went to Redeemer for almost 20 years and I write this in that context. If I had heard them often and consistently proclaim a clear Gospel message, I would not be writing this article. But in all those years, I never once heard a clear Gospel message proclaimed from the pulpit or from anywhere else and I know it will not be proclaimed in any of these charitable activities they’re involved in. You may be very confused hearing me say that. You may think Tim Keller is a solid conservative, evangelical pastor and you can’t believe I’m saying I never heard a clear Gospel message proclaimed at Redeemer. That’s totally understandable because Dr. Keller does use a lot of conservative, evangelical lingo. But when you listen very closely and when you listen over a long period of time, you’ll see that he never actually proclaims a clear Gospel message of sin and judgment and repentance and forgiveness. He alludes to it and he frequently says the actual word – “gospel”. But he never clearly explains what the Gospel is. It is always shrouded in vague and non-actionable language. If you take a look at the list of organizations HFNY partners with and donates time and money to, you’ll see a wide variety of organizations from secular to faith-based. 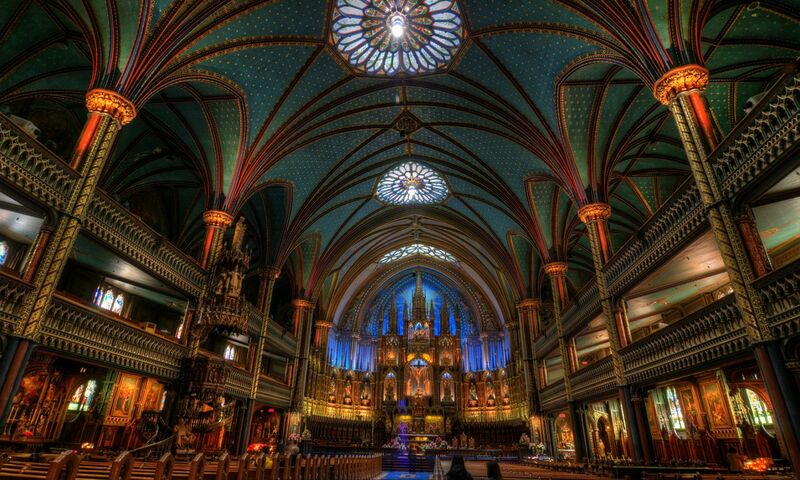 The faith-based organizations are largely liberal. In fact, one organization, World Vision, is on their list of partners and World Vision announced a few years ago that they were going to forbid the sharing of the Gospel in conjunction with their charitable activities! They said they had issued new orders to their staff that they were expressly forbidden from entering into religious discussions with those they have gone to serve. These are the kinds of organizations Redeemer partners with and it speaks volumes about the Redeemer’s mission. It is not by any means an evangelical, conservative or even Biblically-sound church. And its mission is a far cry from what the Bible teaches the mission of the church is. Traditionally, Christian churches have worked with Christian charitable organizations that were involved in a large variety of good works from helping the homeless to working with inner city children and other similar activities. But they always had as their primary mission the sharing of the Gospel of salvation. For they knew that without being born-again, all the help they gave would eventually amount to nothing if the recipient of their service lost their own soul. This is not to criticize all the work these organizations do, but it is to ask the question, what business does a Church have giving more than a million dollars to support secular and liberal so-called faith-based organizations? Tim Keller says they do it in furtherance of the gospel. But how is the Gospel furthered, when it’s never clearly proclaimed? The answer lies in Keller’s definition of “gospel”. Keller uses this word all the time, but rarely defines exactly what he means by it. But through the works of his church and by looking at the kinds of organizations they support, it becomes clear. If you believe, as Keller does, that the gospel is about “cultural renewal” and “making this world a better place”, then there is no problem at all in partnering with secular and liberal organizations that don’t teach the Gospel. If that doesn’t jolt you, then please read it again and notice he’s actually mocking Christians who believe saving souls is very important work. And then he insults them by saying the only purpose of their work is to “increase the tribe” (a pejorative insult). Excellent article exposing this wolf! Next PostNext The Tim Keller Gospel Challenge!